Carissa Halston is a fiction writer. 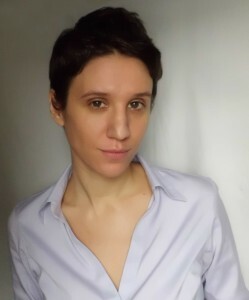 She is the recipient of a Holmes Memorial Award and a Willow Springs Fiction Prize, and her stories have been published most recently in The Massachusetts Review, Longform, and The Normal School, among others. She’s also received honors and grants from The Writers’ Room of Boston, The Wesleyan Writers Conference, and elsewhere. In addition to writing, Halston runs the literary journal apt and the award-winning small press Aforementioned Productions. She’s currently at work on a novel called Conjoined States. If you want to drop her a note, you can reach her via email or find her on Twitter.